Travelling through the world of salsa, we would like to start with an overview of Frankfurt am Main in Germany.While Frankfurt hosts one of the three biggest hubs in Europe, the city is easy to be reached and offers a lot. 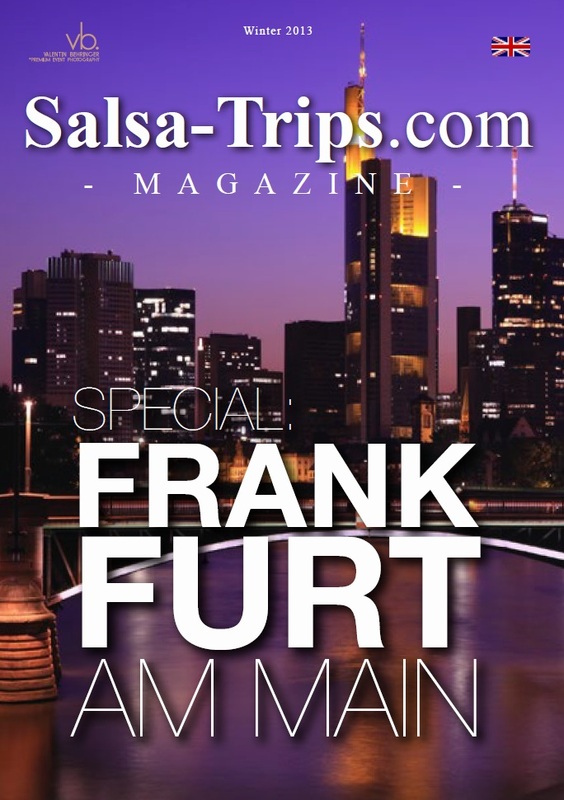 From March 8th – 10th, Salsa-Trips.com proudly presents the Frankfurt Salsa Festival 2013. Leaving Frankfurt, you might take a flight straight to Istanbul or to Timisoara, where people say that they know how to party! Why not try it out yourself?The latest version of the Salsa-Trips.com Magazine also gives an insight to the Pacific Mambo Orchestra, Chino Ramos Y Su Orquesta as well as the music tips of DJ Mambito and DJ Chino. The Salsa-Trips Event Manager gives you an overview of all interesting Salsa events within the next six months – worldwide. Please also have a look at the promotions of some of the best festivals in 2013. Some are providing special promo discounts and Salsa-Trips.com/tickets offers you incredible deals as well. Just drop us a line in case you would like to find further tickets and combo passes of certain festivals or request our help in bookings of flights and hotels.